Cohiba Behike Bands Get New Security Holograms. One of the most counterfeited brands in the world just got harder to fake. The holographic label found on Cohiba’s Behike BHK series is now produced with even more complex imagery than before, making it markedly difficult for counterfeiters to reproduce. While the overall composition of the new Behike bands remains the same, the primary difference is the security strip on the back, which has a redesigned and updated repeating holographic pattern. The pattern still consists of Cohiba’s trademark Indian head profile and the Behike insignia, though the arrangement of the pattern has changed. Since the brand’s launch in 2010, the cigars have worn intricately layered bands encoded with holographic emblems, put there for the sole reason of thwarting fakes. The pioneering security effort marked the first time that holograms appeared on Cuban cigar bands. 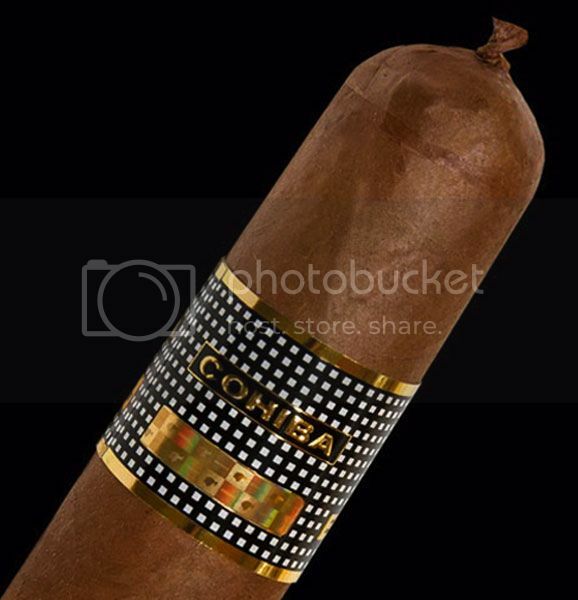 However, this did not stop counterfeiters from trying to produce knock-offs, as counterfeit Behikes starting appearing in the market, even before Cigar Aficionado magazine named the Cohiba Behike BHK 52 the Cigar of the Year for 2010. The new Cohiba Behike BHK security strip has been redesigned with an updated repeating insignia pattern and more complex holograms. The new labels have only recently been put into circulation, so old and new bands will coexist in the market for awhile until old stock runs out. presenteerbare, kist van 20 stuks en later ook in doosjes van 5 stuks. Voor de kortere rookmomenten, een aangename sigaar!! En daar kom ik alleen maar achter door de proef op de som te nemen.